Dynasty Warriors has made a name for itself in the hack ‘n slash games. Who doesn’t want to get teleported in time and relive fights in enormous battles for glory? Koei Tecmo decided to make a spin-off of this series and called it Samurai Warriors. With Spirits of Sanada, you’re thrown back into the Warring States Period, tying to help your superiors as much as you can while staying alive. Are you ready to get some glory? 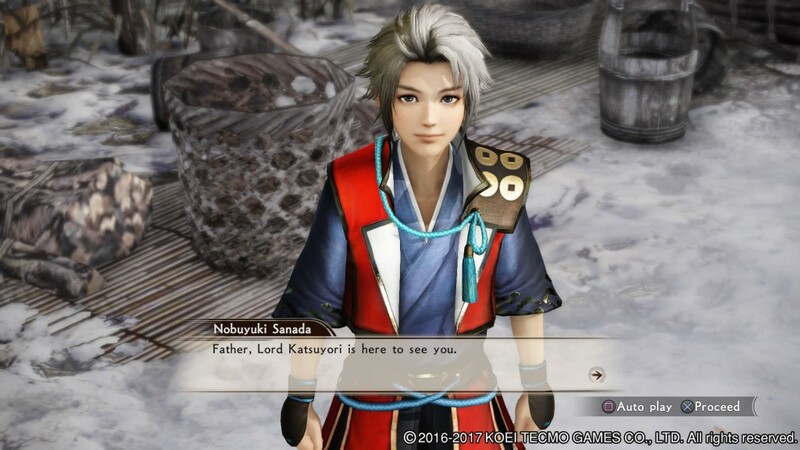 Samurai Warriors: Spirits of Sanada is a spin-off from Dynasty Warriors 4 and you will be following the path of the Sanada clan, with Masayuki Sanada as a leading role. 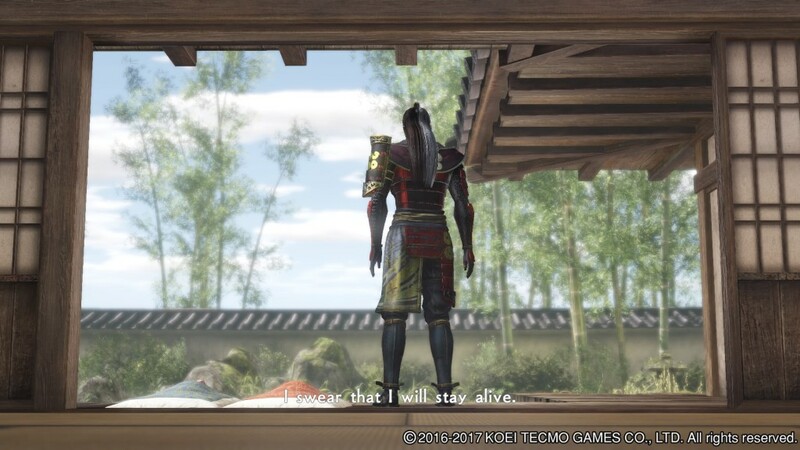 In this game, it is his first time that he actively fights in battles for Shingen Takeda. His strategic mind and help during these clashes gives him a lot of honor and respect but at the same time he is deeply struck with the sorrow a battle can bring when people around him die. At least he has his friend Katsuyori Takeda at his side, while in return he would do anything for him. A few years later he is blessed with a daughter and two sons, all very proud of their father. Things are looking good as well for the Takeda clan, as the efforts of Masayuki and Katsuyori help it grow. Of course, things are bound to go bad rather soon and the narrative will take some rather unexpected turns. This hack ‘n slash surely has a lot to offer story wise, so you probably won’t get bored soon. The Samurai franchise always has nicely finished graphics so it is only natural that this title packs some punch. You’ll be dropped in nice-looking environments with a lot of different elements in the background. Every other area you will enter, will feel like something new instead of venturing in several copies of the same level. The several characters stand out against the other NPCs thanks to their amazing, colorful outfits. This certainly isn’t a luxury though in the hordes of enemies you need to fend off. The motion of the weapon slashing through your attackers might seem a bit too fluent to be realistic, but it does looks rather nice and might actually give you some satisfaction. Although the graphics are great, it sometimes looks a bit pixelated. During some of the cutscenes, this isn’t noticeable but mostly while running around in town and on the battlefield. This can probably be explained as the game was also released for the PS3 and PS Vita in Japan before hitting the stores here on PS4 and PC. It does take down a bit of the overall ambience of the game, but it still has its beauty. 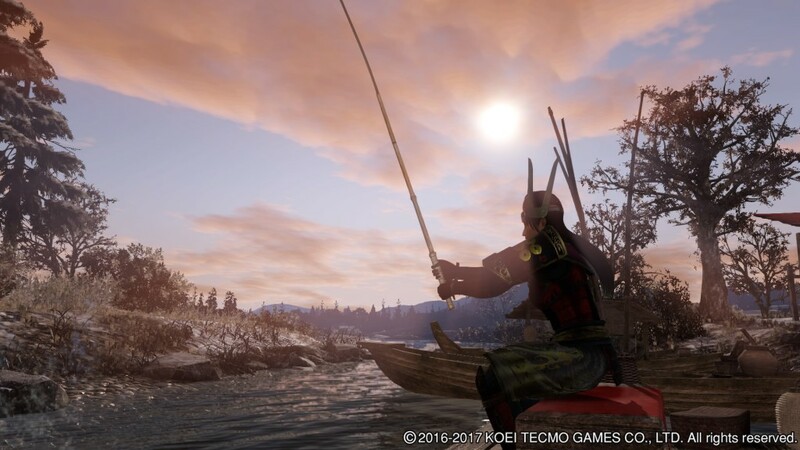 In Samurai Warriors: Spirits of Sanada we’re teleported back to the Warring States period so you can expect some Japanese tinted music. These tones completely fit the setting and even though it might sometimes fade a bit during battles due to the fighting and moaning, it’s still a nice touch. Different tunes can be heard, depending on the location. Of course, the town has some soothing music playing as no threat is eminent while the exploration and battle missions all have their own particular mood thanks to the darker tracks. Both during battles as while talking to some key characters in town, you will notice that there is voice acting implemented. Just as with the music, you will hear Japanese voices and while you might not understand a word, it truly does fit the setting. It gives the game that much more ambience and charm, which can also be said by the sound effects. Battling is a pleasure as you can hear your weapon swooping around and hitting several obstacles, which result in some groaning. It makes you want to kill more enemies rather than to make a peaceful pact. 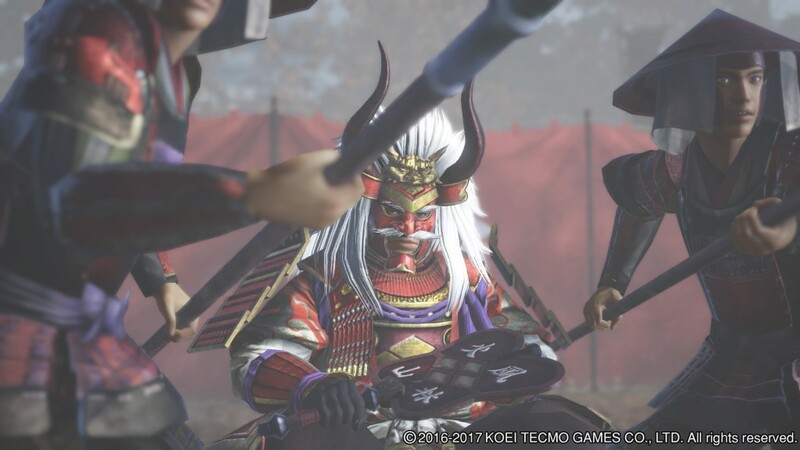 Samurai Warriors: Spirits of Sanada is a hack ‘n slash title with a lot of recurring Dynasty Warrior elements but the game also packs some new features for you to explore. As there is quite a lot to do and discover, we’re not going to tackle every aspect. First of all, some of the battles have multiple stages, while others are just exploration missions. You have to battle against your foes, both during day- or nighttime, on huge battlefields to complete objectives and grab that victory. Attacking can be done by using normal attacks or by combining it with heavy assaults. Some of your enemies drop items, extra experience or gold, which can be used to buy items, increase your character stats or even make potions. These battlefield items can be equipped and give you extra stats during encounters. Between each battle, you can return to town where you can do a lot of different things. Talking to everyone is always a good idea. Some of the soldiers or townsfolk might know some stories, while others are important for gathering the Six coins of Sanada. Some people have valuable information that will be added to the Sanada Clan Chronicles, which can be accessed at all times. This also increases the coins meter and when it’s full, you get one of these. During battles, you get optional or special events where you need to use one of these marks for Stratagems. This will give a tactical advantage to your team and might ease the battle or even influence the upcoming ones. Next to talking to people, this meter also fills thanks to your rank after a battle, so it’s rather important that you get good grades. Next to triggering Stratagems, there are also feats to complete. These can offer new Strategems for the next battle and will increase your meter as well. The town has more to offer than just small-talk of course. The blacksmith is probably one of the most important shops in town, where you can upgrade your weaponry. Before you can do so, you need to have the right materials, which can be found in town or by exploring the neighbourhood. It’s a good idea to get all the materials you can get, because it can’t only be used for the blacksmith but also for mixing your own potions. You can make several sets of brews and items you want to take with you to the battlefield, so be sure to stock up before diving in again. If you’re looking for some relaxation, you’re at the right place. Sometimes you can find seeds, which can be grown at the farm while you can also spend some time fishing while contemplating your next strategy. Of course, training is also important and here is where the dojo comes into play. Here you can level characters by using the family’s experience, which will give you different moves while you can also increase your Musou meter. This fills during battle and when you’re fired up you can perform a devastating attack. There are some other possibilities to exploit as well and every one of them can give you an advantage in your battle. Sometimes you can go on to expeditions and it is possible to take someone with you, if they have a high enough friendship level. To quickest way to become friends with someone is to shower them with gifts. Some of them are rather easy to guess while others might take more time to figure out. When you give some items and the level has increased, you get a tip on what the person really likes but the actual favorite item is hidden until you’ve given it. Next to raising friendships, you can also clear tasks for some of the townspeople which will grant you some new items. 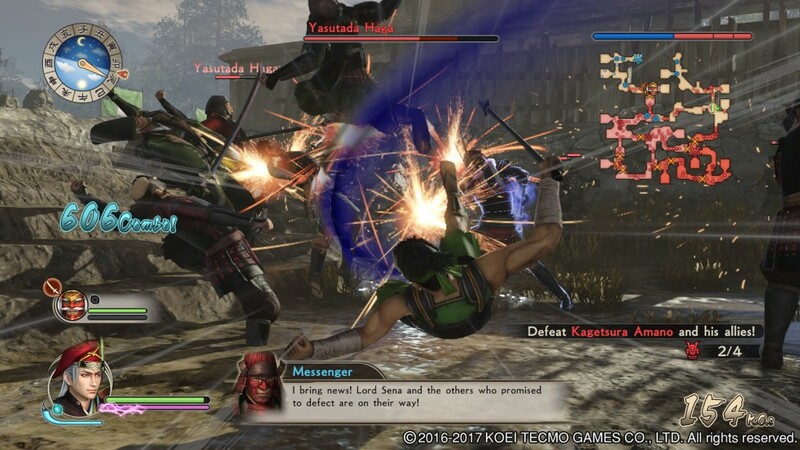 If you’re looking for a hack ‘n slash game with different gameplay elements and a diverse and intriguing story, be sure to check Samurai Warriors: Spirits of Sanada. The graphics are great and combined with the music and ambience, you’re in for a treat. Next to battling, you can also enjoy your time in town or go on your own advenures so get ready for some intense hours of gameplay.